In honor of International Women’s Day, a prediction and personal meme from me to you. Most children don’t secretly aspire to become a hermit. Most. It was around the age of seven that I divulged to my mom my most fervent desire: to take up residence in a mountain cave, alone, and harvest herbs for sustenance. I’m not making judgments or anything, but I’ll go out on a limb and say that her response to my confessed predilections for cave dwelling was mild compared to how most mothers would react. Ever the trained therapist, she replied, “That sounds neat. What is it that you’d like about that?” Fortunately for my career and romantic life, I ended up gravitating to the Bay Area and a career in finance; as far cry from an herb-filled mountain cave as one could imagine. I’m not entirely sure when or how it happened, but my idea of what was important shifted. What I should do with the hours of my days was work, earn, produce, even to the exclusion of everything that seven-year-old Lindsay valued. Years of correcting those types of silly inclinations eventually knit together Adult Lindsay, who had set aside the frivolities of her childhood in exchange for professional stability and financial security. The part of her brain dedicated to play and imagination had been reallocated to remembering nuances of various capital markets and foreign exchange rates. But Adult Lindsay’s tightly knit life began to unravel, ironically, because of neglecting her hermit side. This is best illustrated with the below excerpt from the dramatic screenplay entitled Work at Your Desk in the Office Forever (it’s a working title). HERMIT: Pay attention to me! I’m bored! There’s nothing to color here! ADULT: Shut up! There are literally 15 things on fire right now. HERMIT: I’m tired of this place, when are we gonna leave and go play? ADULT: I said shut up! You’re distracting me! Oh my god, I’m never getting out of here. It’s laughable to picture what my life would be living alone in a cave. The unbalance and solitude is undeniably literal. Yet somehow, the polar opposite of being constantly accessible to people seemed like a normal, respectable endeavor. After almost 33 years of trial and error, I’m starting to get the importance of the whole living-a-balanced-life thing. Being by oneself in a physical cave is no more ridiculous than isolating oneself from the world emotionally and spiritually. If I put food on the physical table, but don’t feed my soul, I will still die. 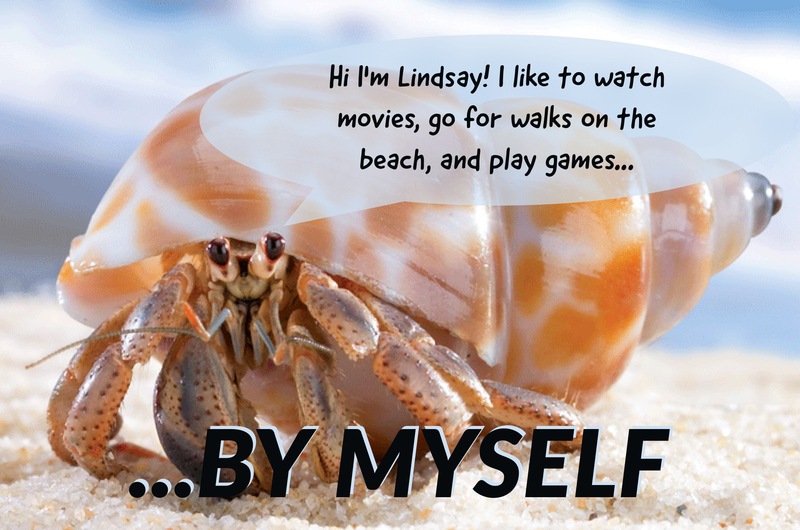 Adult Lindsay is still around nowadays, but Hermit Lindsay will always exist to help her recharge. A battery that’s only ever plugged in never fulfills the purpose of its existence. There’s power in being connected, even if it’s draining. So, in the spirit of meaningful connection, but tempered with the desire to be left the hell alone, this stream-of-consciousness pseudo-journal is my way of staying linked to you, to myself, and to something bigger than us all. Get gut-punched by all the feels. Two and a half miles. But it may as well have been a million. Or at least 500 because #80schild. In the seconds that it took for that little red Nissan Kicks to back down what felt like the shortest driveway everrrrr, 16 years of motherhood flashed before my eyes. I learned early on in the mama game that #muthahood is fundamentally a series of letting go. And there are approximately zero things that I can control or hold on to as a mother. From sleepless babies to stubborn toddlers to “self-sufficient” kids to sullen teenagers, I am always shaping and shepherding and encouraging and influencing, but never truly in control. I am constantly letting go. Back when I was the tallest. It’s fine. I’m fine. Miss Vanjie… Miss Vanjie… Miss… Vanjie. 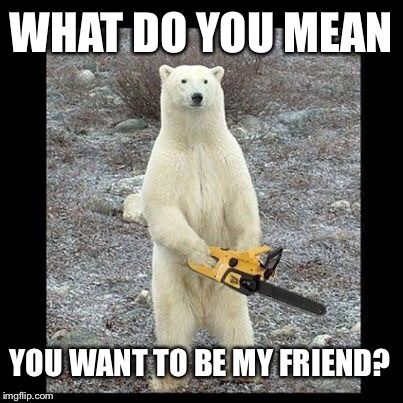 I had to post this or I would literally have peed my pants from unrequited sharing. RuPaul’s Drag Race, you guys. The new obsession in our home. It’s brilliant, poignant, insightful, hilarious, and often cringy. We met and fell in love with Miss Vanessa Vanjie Mateo, only to have her snatched (pun unintended and I’m leaving it) away all too soon. Me: Awwww, how sad! I liked her. Me: Poor thing! She made friends with everyone and already has to leave. I would be so upset! Me: … why is she saying her name a bunch of times though? Is that a thing from earlier?? Vanessa Vanjie Mateo and her endearing, albeit confusing exit, captured our hearts and imaginations that night, and of course, the avalanche onto Meme-ory Lane has been generous. Those in this post are just a few of my own that were inspired by The Muse, Vanjie. For those of you wondering, I strategically wrote this post almost a month after visiting the Grand Canyon due to creative reasons that only an artiste would understand, and not because I’ve been too distracted by drawing and playing with my cats. After Joshua Tree, we headed east toward Arizona and this allegedly Grand Canyon. If you ever drive on Highway 62, you’ll notice a strange attraction beckoning you from the roadside: the Rice Shoe Fence, in Rice, CA. Aside from being a delicious side in Mexican dishes, Rice is known for its vast collection of shoes, not unlike my girlfriend. After snapping some pictures of the ghost town’s local architecture, it was onward, ho! As we neared the California-Arizona border, we saw a ton of signs warning us about wild burros running around on the road. I’m not sure why they’re not just called donkeys, but there were indeed burros galore. I’m also unsure about how burritos got their name, for that matter, but that’s neither here nor there. I feel like maybe they should put less signs about burros and more signs about vehicular width requirements. Because ol’ Barb was too wide for the bridge over the Colorado River, we had to backtrack an hour to the route for obese RV’s (real nice, Arizona). The extra time in the hot RV set the tone for the whole state. After that, we just had this vague feeling that something wasn’t quite right. Fun fact: 93% of the United States outside of California is hellishly hot and humid (except during Polar Vortex, or what we in California call “winter”). To mitigate the heat, we took a slightly longer route to treat ourselves to Culver’s, the In-N-Out of the Midwest, except better and with Concrete Mixers. After spending a night in a haunted field, we were excited to see the majestic beauty of the Grand Canyon! Everyone should visit the Grand Canyon at some point in their lives. It’s beautiful, but its the sheer vastness of it that’s most compelling. If you ever want to experience how insignificant we are in the scope of the enormity of the universe, go to the Grand Canyon.